The race to introduce 5G into the UK is hotting up. A new collaboration has claimed to have gone a step beyond previous trials. Vodafone and Ericsson have teamed up with researchers from King’s College London to test a standalone 5G deployment. 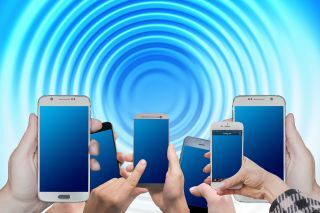 The three parties claim it is the first time in the UK that 5G has been demonstrated to work independently of any existing 4G technology. Engineers were using several technologies including Massive MIMO, this uses multiple antennae to send and receive data more efficiently to boost capacity where lots of people connect to the network at the same time. That wasn’t the only technology being deployed however. The project has aggregated different bands of mobile spectrums to increase capacity and boost data speeds. By combining four bands of spectrum, for example, smartphones can achieve data speeds in excess of 500 megabits per second (Mbps). These fast and ultra-reliable technologies are becoming essential for data-hungry video applications and as the Internet of Things (IoT) expands into people’s homes, vehicles and the workplace. The live trials are being used to show how 5G services will benefit both industry and society in the future – in areas such as factory automation, smart energy grids and remote surgery. Vodafone UK head of networks Kye Prigg said: “We’re delighted to be the first provider to test standalone 5G in the field, however, building a 5G network will take time. Right now, we’re also modernizing our network by making smarter use of our existing mobile technology to keep ahead of consumption demands and provide the mobile coverage our customers deserve. The field test was conducted with a prototype mobile device, based on a proprietary 5G technology. Ericsson’s 5G test bed system operates in the 3.5GHz spectrum band. The trial also showcased advanced 5G technologies including Massive MIMO, beamforming, multi-user MIMO and beam tracking.